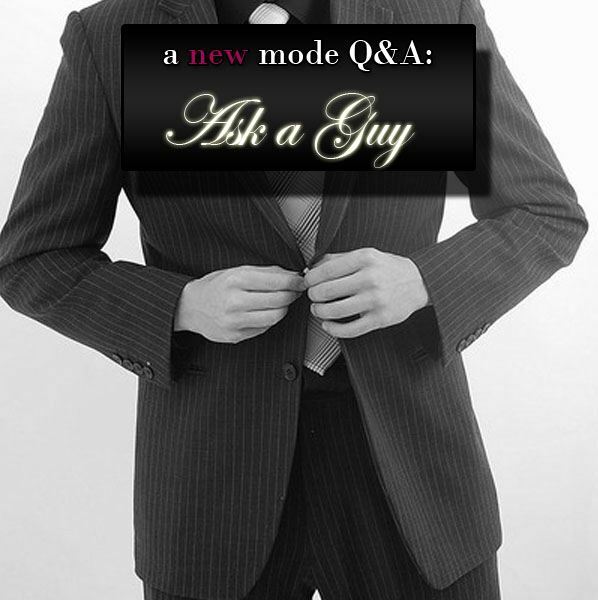 Ask a Guy: Should I Give This a Second Try? Last spring break I started seeing my ex-boyfriend’s best friend as more than a friend. It was unexpected… and we didn’t mean to become interested in each other. He had just broken up with his girlfriend and was hurt, but he was trying to get over her. He gave me the option of either staying friends until he was over her or to keep talking. I decided that I wanted to keep talking to him because I thought it would help him forget about his ex-girlfriend. Things were going well for about 2 months and then he suddenly wanted to take a break and said he needed space for a little bit. I understood, and in the meantime was hoping that he was OK and that things would soon go back to normal. Soon after, his ex-girlfriend friend-requested me on Myspace. I didn’t approve her, but I checked out her page out of curiosity. She had added new pictures of her kissing the the guy I was seeing (the pictures were dated though). I confronted him but he saw nothing wrong it. He was turning things around on me and I just couldn’t handle it. I stopped talking to him and a little while later she cheated on him again! He learned his lesson and ever since then we’ve been friends, but haven’t started things up again. I know that he truly cared about me and he tells me that he does. He wants me to be happy and wants for us to eventually give it another try to see if we still have the same strong chemistry that we once had. Maybe I am crazy for asking this, but should I give him a second try? I don’t think it’s crazy. I mean, he pretty much told you everything. He said he had just broken up and was hurting. Given where he was at, he gave you the option to just be friends or keep going deeper. I can understand your logic too though. You just ended up liking each other, things felt right and even though you knew he was hurting, you wanted to make him feel better. The thing is, break-ups are usually messy. I don’t mean that in the sense of it being explosive – some breakups aren’t. But I would say nearly all break-ups end up having a whole bunch of loose ends, unanswered questions, unresolved emotions and a whole lot of other stuff. When a guy breaks up with a girl that he cares about, he’s usually left with a whole bunch of questions. Questions about himself, about their relationship, about relationships in general, about what he really wants, etc. And I can tell you from personal experience, a lot of the time it is incredibly painful for the guy. He might not show it on the surface, but he’s hurting. And chances are, he would love the opportunity to escape the pain and self-questioning that often comes out of breaking up. To sum it up, I am talking about what motivates a guy to date on-the-rebound. As for him getting back with his ex-girlfriend after dating you, I would not take that personally. 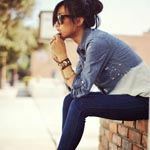 Here’s why: When you guys started dating, he didn’t resolve all of the self-questioning, emotional pain, lingering issues from his past relationship. Instead, he buried his feelings and tried his best to build a new relationship on top of all that leftover garbage. I’m sure you and him had good times together, but on the inside I am sure he couldn’t shake those feelings that he never came to terms with. And for the majority of men on this planet, we don’t like when things are unresolved. We like absolutes and concrete understandings. So when a guy feels like something has been resting on his conscience, it starts to wear him down. As much as he probably liked you, I am sure that these feelings became unbearable to him. Plus, to make matters worse, his ex-girlfriend was still around. I mean, they might not have been calling each other at first, but if there is unresolved feelings on one side or the other, it is a near-certainty that they’ll call the other one to ‘sort things out’. And sorting things out is usually pretty chaotic – things get said that weren’t said during the relationship, raw emotion comes out and their connection as people swings wildly all over the map. Sometimes it’s a bitter argument and other times it’s an understanding, calm conversation. And other times, it’s a reconciliation. My point here is that for a while after a relationship ends (sometimes a couple months, sometimes much longer) the ex-girlfriend has a tremendous amount of influence over the guy even though they’re not together. Again, this is because the guy has all sorts of unresolved issues and most of the time the only way he can work them out is to either reflect on it (outside of any relationship) or work things out with his ex. When a guy doesn’t give himself the chance to do this, it almost always blows up in his face. In your case, he ended up getting back with her. It could be because he still loved her in spite of what happened. It could be because he couldn’t accept how it ended. It could be because she pulled on his heartstrings. The fact is, you’ll never know why he did it. However, you can definitely look at the situation now and make a good decision. As I said at the beginning, I don’t think it would be a mistake try a second time, given the circumstances. But I think you should definitely make sure that he has given himself time to work out his feelings before you attempt another relationship. 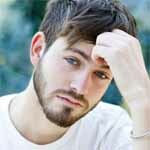 His connection to his ex might be totally burnt to a crisp (after her cheating on him twice), but that doesn’t mean he worked through his own issues surrounding his past relationship. In short, look before you leap: make sure you’re building your relationship with a guy who’s on solid ground. Hi, well here is a laugh for you…. I need relationship advice on a relationship that never took off. Ok so here is what happened. Met this guy online, he seemed like a proper gentleman, we kept it casual texting for a month nothing serious. He used pet namea here and there and I mirrored some kissy faces and so on. He was only a month or two seperated from his gf so I knew that its obvious he wont be completely over her but I didn’t go into that yo much, we were both still on the online dating site it was no secret and it was never a problem. At some point I told him that I need to step back and reevaluate what I want and feel, because now I realised that I would like to do more then text. We never went on a date yet. So I swolled my pride and yold him that I think I might just like him a little, he then said that he doesnt want to be rude but how can I like him if we never met yet. I explained that it only meant that I enjoyed our chats and the way he presented himself for the past month. He replied with ok. After that I decided now would be a good time to tell him about my boundries and likes and dislokes. It came down to honesty respect appreciation sincerity time monogamy eventually. Also said that I like to take things slow cause to take a gamble with your heart you must at least know what cards you’ve been dealt. He then told me that he want to put things straight that at this stage we are chat buddies and due to that reason he can not adhere to all my wishes or boundries because we are not in a relationship yet. I told him thatbi am well aware if the fact that we are not in a relationship but wanted him to know what I would expect in a partner and that therebis nothing wrong with knowing what you want and deserve. Also told him that if I felt like there is no future for us I would be honest and tell him. He said he is sorry if he waisted my time and sorry if he misunderstood and thanks for the fact that I am honest and won’t leave him hanging about future. We had short conversation and ended with a little joke. Its been 3 days with no contact. He did view my profile twice in one day but no text. I did enjoy our chats and would have liked it to go futher. I dont want to contact him first because then my boundries will lose its power, not sure the nc rule can be applied so early in a non relationship. Would love your take on this. His birthday is in a week should I send a text or just let it be. In my opinion you just don’t date friends. Especially, when it’s months apart. Secondly, he doesn’t deserve another chance. It’s more likely that you guys messed up you alls friendship by crossing the line and becoming intimate in the first place. Although, it is still possible to be friends. I would NEVER give a second chance, because i think u are being just a steppe!That´s just my opinion!